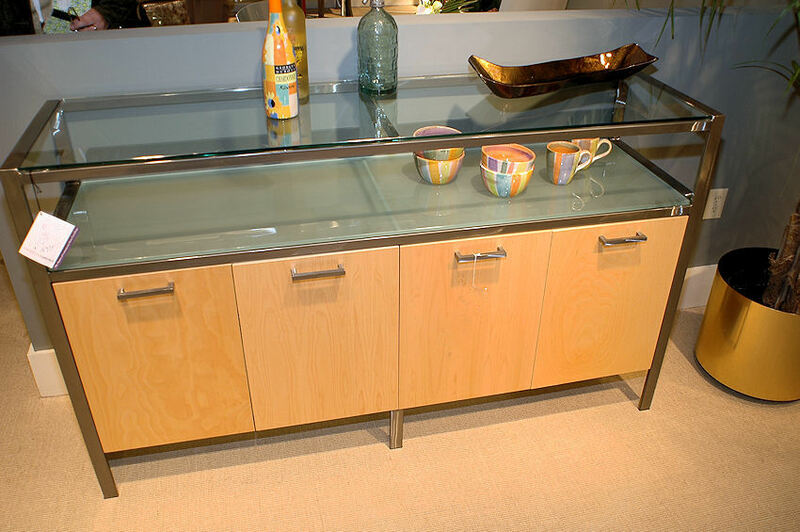 $ 995 - Journey dining table with base in Standard metal finish and 42" diameter clear beveled glass top. 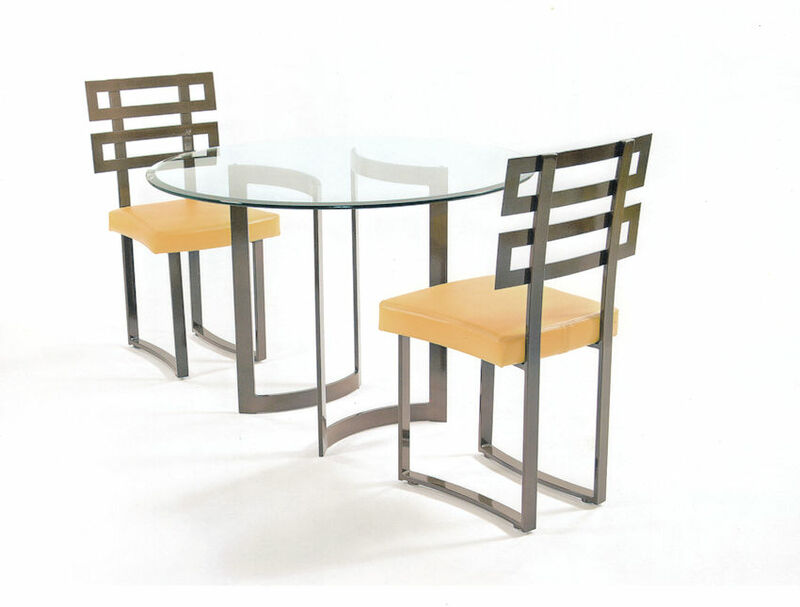 $ 1,195 - Journey dining table with base in Premium metal finish and 42" diameter clear beveled glass top. Journey dining table base 18.5" SQ x 29"H is available in different metal finishes; accomodates 36", 42" or 48" glass top. Custom made in the USA in any metal finish. See color samples. 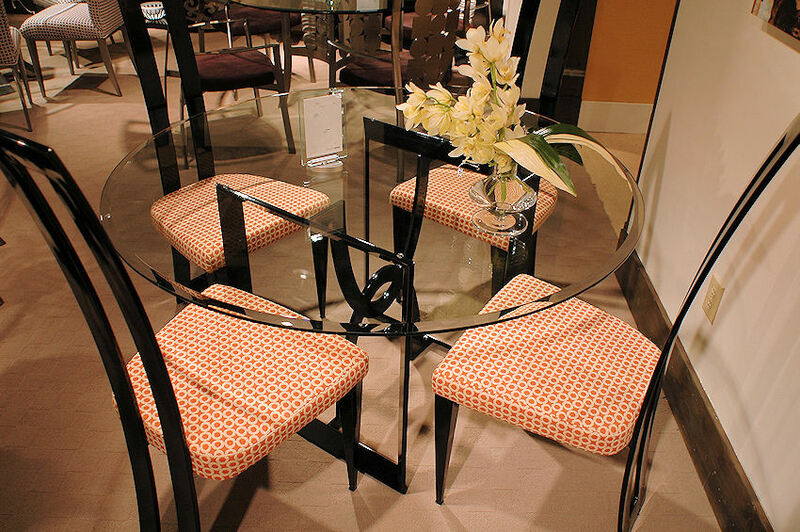 $ 1,150 - Brooks dining table with base in Black Gloss metal finish and 48" diameter clear beveled glass top. $ 550 ea. - Bramante dining chair in Black Gloss metal finish and fabric seat. Brooks dining table base is available in different metal finishes; accomodates 42", 48", 54" or 60" glass top. Cascade Large Buffet with top shelf and Natural or Wenge wooden doors custom made in North Carolina.